Bath businesses are supporting council plans to make Kingsmead Square in the city centre more pedestrian-friendly – although issues around deliveries and noise still need to be resolved. 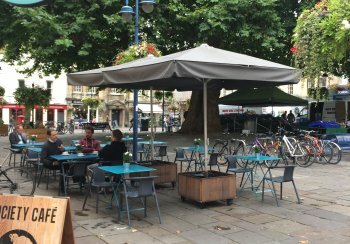 Around 100 visits to businesses were carried out by officers from Bath & North East Somerset Council (B&NES) to gauge their views ahead of changing the layout of the square. Most businesses supported the potential for an improved café culture, attracting more businesses and improving public spaces, according to the council. However, they also raised a number of practical concerns including more complicated deliveries and refuse collections and noise pollution from events. Overall, there was a high level of support from the public for the proposals. Of 77 views recorded at the engagement sessions, most supported a, with some wishing the council to go further and make a wider area car-free. Of the 15 detailed written responses received, eight supported the proposal. However, some concerns were raised particularly from local professional businesses who highlighted that the square should not just be seen as an entertainment area. Last year businesses based in the square co-funded an independent transport assessment which highlighted the opportunities for improving it by removing vehicle access apart from morning deliveries. The council believes the square’s layout fails to realise its potential at the heart of the city’s entertainment area and proposes to prevent vehicle access from 11am to midnight at both ends by using removable bollards. It says this will lead mean 1,500 sq m of road space being returned to pedestrian priority use. Among the business people welcoming the council’s proposals is Lindsay Holdoway, managing director of HPH Commercial Property, which has its head office in the square. Mr Holdoway, pictured, said: “I am delighted to hear that B&NES has taken the decision to continue working on this project which could see Kingsmead Square become car free, something which has been in discussion for many years. “We have long been involved in the idea of creating an alfresco-style environment in Kingsmead Square similar to that enjoyed in European cities. In 2018 we co-funded an independent transport assessment which further highlighted the opportunities for improving the square if vehicle access was removed. 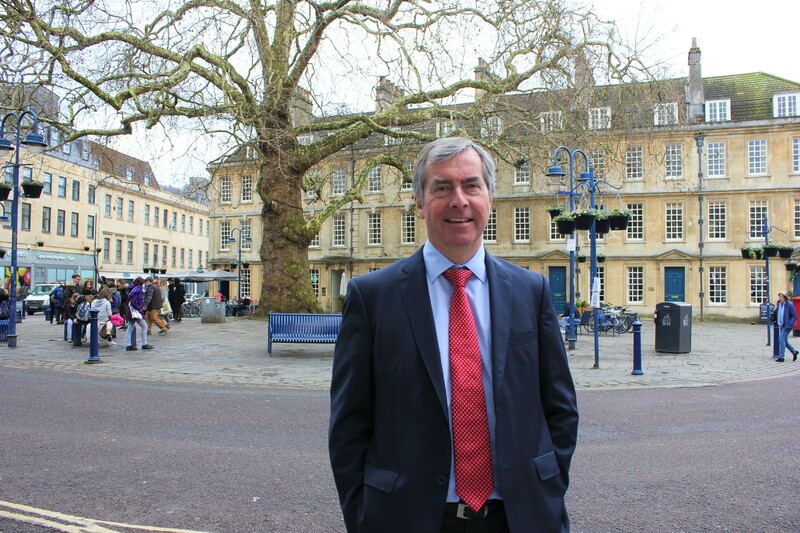 B&NES cabinet member for transport Cllr Mark Shelford said: “I am delighted by the responses we have received and in particular the level of support for the council’s proposals for a pedestrian-friendly Kingsmead Square. I will make sure they are considered very carefully before moving on to the next stage. “I am particularly pleased to see the high level of engagement from local businesses. Kingsmead Square is a vibrant and much-loved part of the city with a wide variety of uses and it is important that we get this right so it fulfils its potential as an area everyone can enjoy. I am particularly keen that this scheme be progressed through consensus wherever possible, working with local businesses as part of my vision for a pedestrian-friendly city centre.